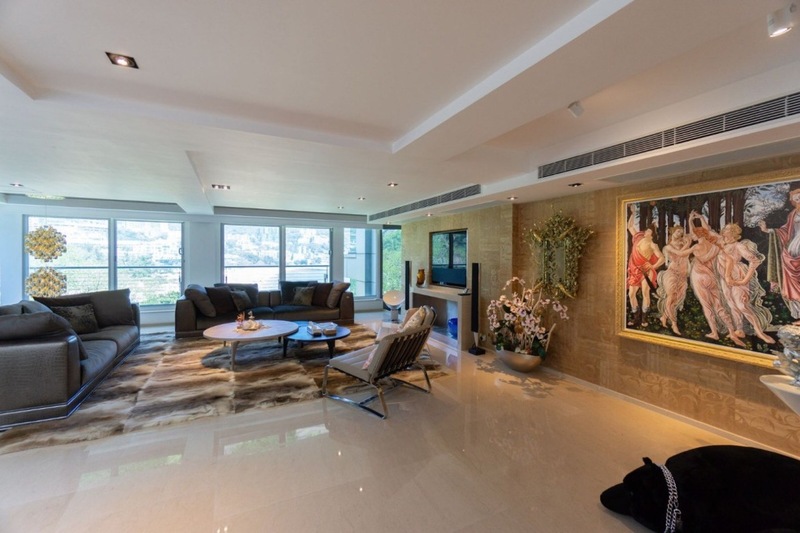 City and beach lifestyles converge at this designer duplex on Hong Kong’s Repulse Bay. This luxurious contemporary duplex overlooks Hong Kong’s Repulse Bay, a few minutes’ walk from the beach and Repulse Bay shopping and restaurant complex. The chic interiors feature floor-to-ceiling windows to maximize the breathtaking city and bay views, six bedrooms, five full bathrooms, a living room, formal dining room, and gourmet kitchen. Residents have access to a rooftop deck and the building’s luxury amenities, which include parking, a children’s playground, and a health club with indoor pool and sauna, squash court, and gym.